Designs from this Italian yard are among the most beautiful in the world, so don’t be surprised when all eyes in the harbor turn to watch this boat make its entrance. The truly unique vessel was developed by Mauro Micheli, who rethought every aspect of the 86-foot Domino before drawing the lines for the 88-foot model. The hull is painted a dramatic London gray that stands out against the rich dark wood on the decks. The living spaces have been reimagined, including the sundeck. Below deck, a “moon gray” theme takes over in four staterooms, each of which features something not always found on low-profile sport yachts: actual walking space. With just a few models built to date, this 88-footer will likely be matchless in your local waters. Hatteras Yachts—one of the most venerable names in the marine industry— launched this 75-footer just months ago, and every inch of FantaSea was custom-built. That’s clear in the salon, with its bespoke furniture, massive skylight, and plank-style flooring that’s not often seen on motor yachts. 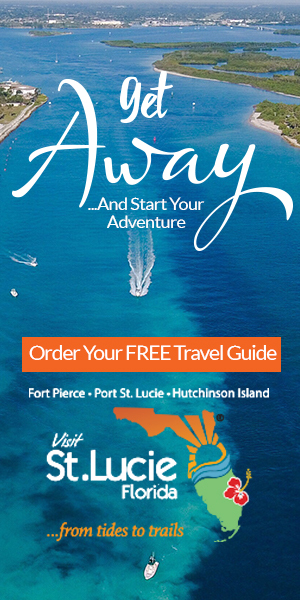 The technology and systems are thoroughly modern, including the reverse osmosis water filtration system, HandCraft Mattress Company bedding in all four suites, and underwater lighting that makes every port look extra special. With just 120 hours on the engines, FantaSea is a practically new, custom yacht, only you don’t have to wait for it to be finished. The first thing you’ll notice about Cheers 46 are the oversized windows that draw plenty of light through sleek geometric shapes into living and entertaining areas. 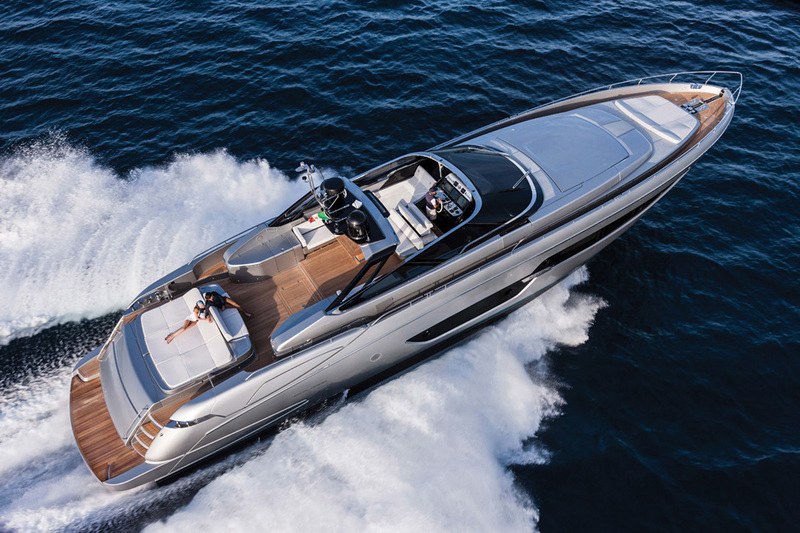 The glazing accents the beautiful lines of this Italian-made 140-footer that can cruise along at 15 knots. Passengers can relax in a salon covered in kato, a gray-stained African wood. After a night in one of the five cabins (accommodations for up to 12 people), hit the workout room (which has its own balcony), entertain on the massive top deck, or take out a toy from the tender garage. Benetti created the yacht, built in 2014, so modern you’d think it was just launched. 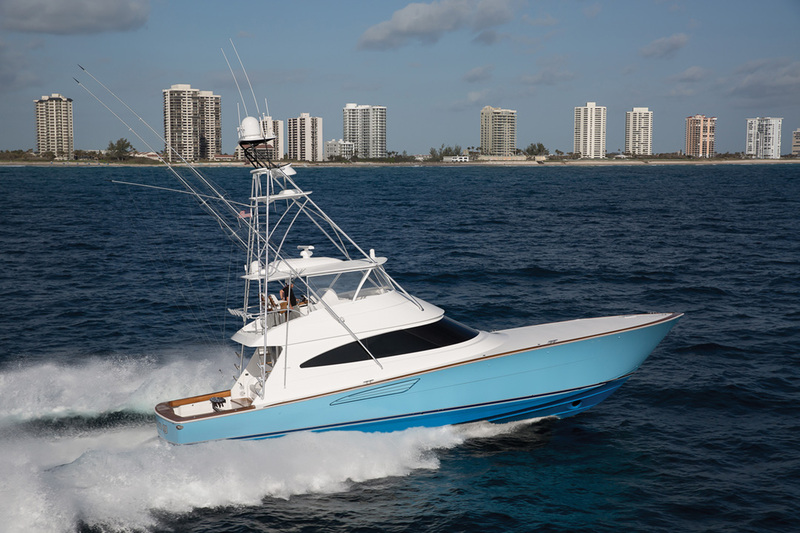 Viking Yachts of New Gretna, New Jersey, is a premier builder of tournament-worthy sportfishing convertibles. 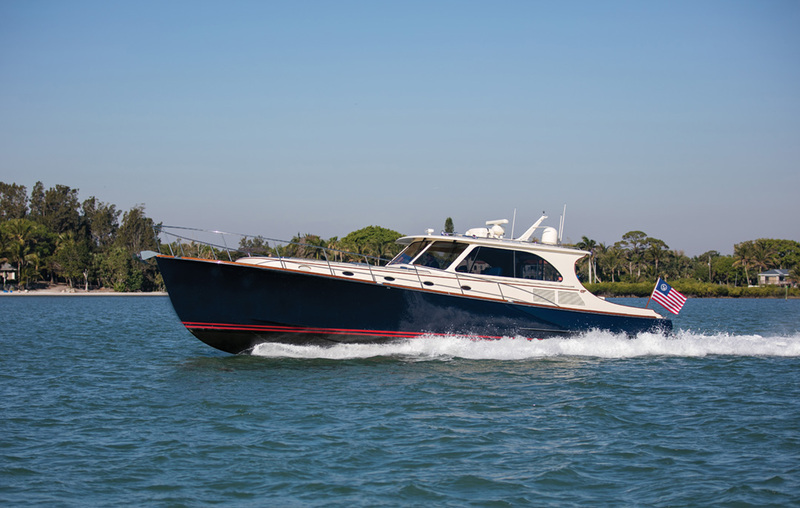 This 68-footer has all of the company’s blue-water DNA, but it’s also a comfortable cruising boat equipped with the creature comforts of home. Of course, those who occupy its white-and-tan salons and four stateroom suites can troll a fishing line now and again. 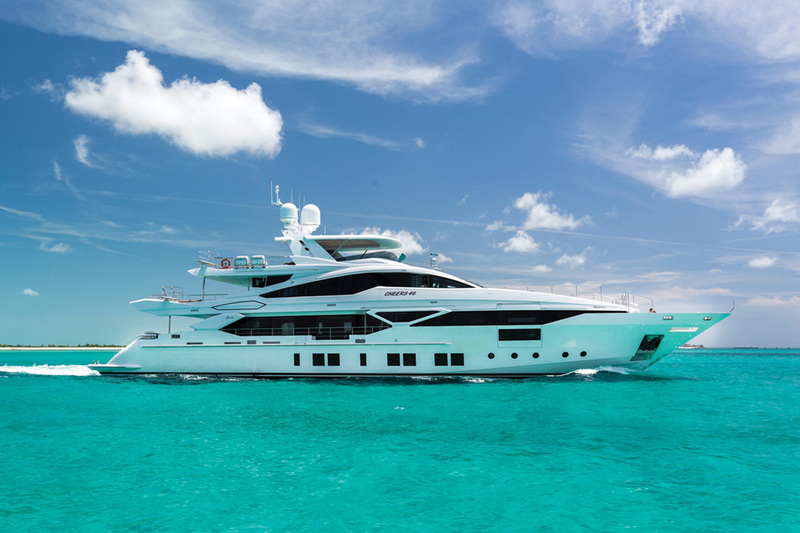 A pair of 1,945-horsepower diesel engines ensure excellent performance and offer the power to quickly cut across the Gulf Stream on your way to some secluded beach in the Bahamas. 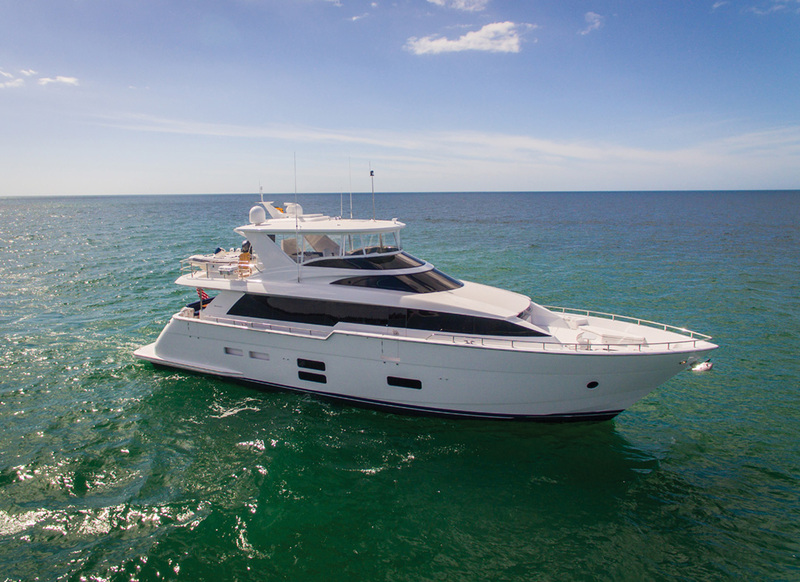 The 68, which made its public debut in February at the Miami Yacht Show, can be customized with upgraded interior decor, a stabilizer and tuna towers. Maybe yours will have a full complement of fishing equipment, or perhaps you’ll never leave the salon’s plush sofa. In an era when many ships are sleek, modern wedges, Unbroken looks as if it has steamed to port from a more glamorous time, although like all builds from Hinckley—one of the best-known yards in Maine—it features high-tech systems and propulsion. The stark white cabin stands in contrast to the rich blue hull, with red stripes running above the waterline. There’s varnished cherry everywhere, covering the galley, the bulkheads of the master suite and the stateroom’s head. The guest suite has its own head and single berths that convert into a double bed. Built in 2011, Unbroken was recently updated with a stabilizing gyro for smooth sailing, no matter what era you’re steaming towards.